Crossing the Data Delta - IRM Connects, by IRM UK | IT Blog. Many organisations, still, do not exhibit this cultural posture, and to change this requires the right people and the power to transform business processes, procedures and attitudes. The organisations who are getting this right and reaping the rewards – those that treat data as an asset – recognise the need for robust sponsorship of effective data management at the executive level. People often question who should lead this, either as a formalised role or handled in a more “federated” way. One view is that the direction should come from a new executive position – a Chief Data Officer or CDO. The organisations that really ‘dig data’, are those that have been through a process of introspection; answering most, if not all, of the questions above (and perhaps more). 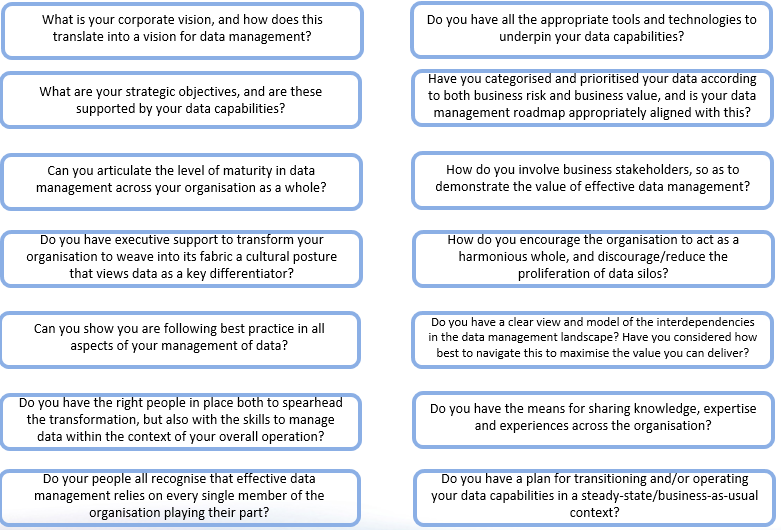 Those who truly treat data as an asset are the people who can frame a discussion in terms of these questions. In most cases, those questions are not answered by technology (at least, not completely). The companies we speak to are looking to answer these questions and describe this as a gap between the data they have and the information their business people and stakeholders need. The fault line between the data they have and the information they need has expanded and is now, in many organisations, a yawning chasm. 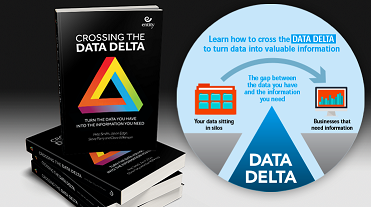 We call that gap the Data Delta™ – and our upcoming book – Crossing the Data Delta – will show you how to successfully bridge that gap. It applies whether your data is structured or unstructured; it applies to you whatever type of organisation you work for. Crossing the Data Delta presents an agile approach to driving digital value in your organisation across people, process and technology. It provides a clarion call to treat data as an asset. If I were a large enterprise about to invest in Big Data, BI, Data Governance or MDM, I’d call “time out” until my key staff had read this book. It’s a thought provoking game-changer that can help structure the necessary conversation about “changing the traditional data culture in an organization”.